Portland Indoor Soccer is home to five seasons of competitive play per year–two in the Fall, plus Winter, Spring and Summer. If you know which Division listed below is right for you and your team, that’s great. If you need help determining which level of play, come by the facility or call and we will help you determine the correct fit for your team. Coed teams play Friday through Sunday. The game times for coed are Fridays from 6:10 to midnight, Saturdays noon to midnight, and Sundays noon to 10:20 pm. Women’s or Men’s teams play Sunday through Thursday. The game time for these leagues are weekdays 6:10 to 10:20 pm and Sundays noon to 10:20 pm. All Coed Players must be 21 years or over. All Coed Divisions play Friday thru Sunday. Sportsmanship strictly enforced in coed divisions. 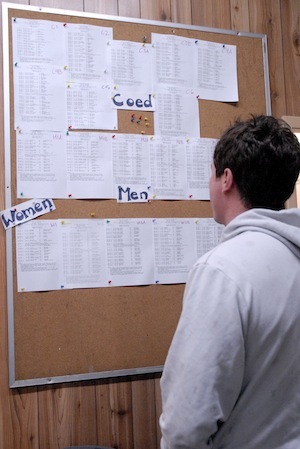 There is currently a waiting list for new men’s, women’s and coed teams. To put your team on the wait list please fill out this adult registration form. Then bring or mail in the form to us with a $100 deposit. If paying by check, we will not cash your check until your team gets in. Your team will move up the wait list each season until your team is active. Teams currently playing have priority in registering, but must re-register by a specific date (usually one month before the next season). After that date, we will notify you if there is room for your team. We accept new teams from the waiting list on a first-come, first-served basis based on the date of their deposit.